La Scena Musicale: Thrilling DSO/van Zweden Wagner Tribute in Dallas! Thrilling DSO/van Zweden Wagner Tribute in Dallas! Since Wagner’s greatness as a composer has long been indisputable, and his music, to this day, is frequently played, we don’t need a special celebration of the 200th anniversary of his birth to be reminded who he is or what his music sounds like; that said, it would certainly make sense to spend some time considering what makes this man unique and his music worth studying and playing far into the future. The Dallas Symphony didn’t build such an event around Wagner last week, but it did fashion a concert tribute that was second to none. 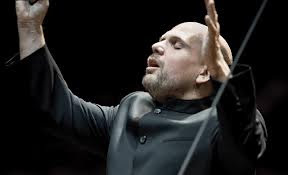 What made the Dallas concerts so memorable was the authoritative conducting of Jaap van Zweden. This extraordinary Dutch conductor has spent the past five years transforming the Dallas Symphony into a world-class ensemble and they recently toured Europe together, winning rave reviews from Amsterdam to Vienna. Their Mahler, Bruckner, Bach, Beethoven and Tchaikovsky have been remarkable; this Wagner program, however, reached a new level of accomplishment. Jaap van Zweden has not spent much time in an opera house – and Wagner is primarily an opera composer – but in years past, he regularly played complete Wagner operas in concert with the Netherlands Radio Philharmonic, performances which have become the stuff of legend in Holland. What makes van Zweden’s Wagner great is his command of the musical style. This conductor knows how to pace the music so that there is an irrefutable logic to it all. He does not change tempo simply for effect, but rather because and when the music and/or text require it. Speaking of text, van Zweden has an uncanny sense of how to balance Wagner’s orchestra so that every word is clearly heard. I was reminded of how the critics marveled when Karajan conducted Die Walküre at the Met back in the 1960s. They called it a “chamber music approach” that made the score fresh again. Van Zweden’s Die Walküre had this clarity too, but not at the expense of the big moments. Here too, van Zweden was amazing. The climaxes invariably grew organically from mere whispers to hair-raising explosions, and again - recalling Karajan - while retaining a rounded blend of sound, especially in the brass. Van Zweden began the concert with three orchestral excerpts and each one was given a superb performance. The Prelude to Act I of Lohengrin begins with quiet violins in their highest register. This is difficult music to play in tune and with sufficient beauty of sound, and many orchestras have revealed their weaknesses in such passages. These days, the violinists of the Dallas Symphony play this music with the utmost confidence, as they did this afternoon. Wagner’s scores are filled with original touches of orchestration and that is especially true of Lohengrin. The ethereal string passage at the very beginning is a prime example but there is, in this piece, also a little master class in how to use cymbals. We all know they can make a loud and exciting noise, but Wagner had them play softly – a mere swish in Lohengrin - to contribute a truly 'heavenly' sound. Wagner uses them both ways in the exquisite Prelude to Act I. And what can one say about the overly-familiar Prelude to Act III of Lohengrin? In this performance, van Zweden galvanized his musicians to play as if possessed. It was thrilling! How did he do it? By sheer force of personality, of course, but also by insisting on rhythmic exactitude, and by adding little crescendi here and there to sustain the forward motion. Great conducting and great playing. The only thing wrong with the Lohengrin Prelude to Act III in Dallas last week was that this music didn’t continue as it does in the complete opera - with the "Bridal March." Van Zweden left us wanting to hear him conduct more of Lohengrin. And did I mention that for these Wagner concerts, the DSO trumpet section was led by a guest of great distinction, Christopher Martin (Photo: right), principal trumpet of the Chicago Symphony? 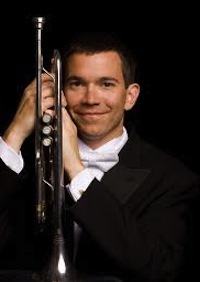 The DSO’s superb principal trumpet Ryan Anthony is on leave of absence due to illness, and other fine trumpeters from around the country are helping out. Not so long ago, Martin and Jaap van Zweden collaborated in Chicago on the first performance of Christopher Rouse’s Trumpet Concerto. By all accounts, it was a great triumph for all concerned. Finally, to end the first half of this all-Wagner program in Dallas, we had a performance of the Prelude to Die Meistersinger. Here again the playing was deeply inspired. Van Zweden found the perfect tempo, allowing for all the contrapuntal lines to be heard and expressively shaped. The music also had an inexorable forward motion and a dance quality that wiped away any suggestion of military marches, reminding us that Die Meistersinger is, after all, a comic opera. Die Walküre Brings Down the House! After all this great music and great playing, I wondered if the second half of the concert might be a let-down. Not a chance. In fact, in programming the complete first act of Die Walküre, van Zweden gave the audience an opportunity to dig down even further into the genius of Wagner. Unlike Lohengrin and Die Meistersinger, Die Walküre makes extensive use of what Wagner called “leading motives,” or themes associated with particular characters or ideas in the opera. The way Wagner uses these musical bits, transforming and combining them, is one of the supreme accomplishments in the history of music. For this concert performance van Zweden chose three nearly-ideal collaborators: Forbis, Melton and Owens. Tenor Clifton Forbis (Photo: right) is one of foremost interpreters of the role of Siegmund in our time. His Tristan is equally distinguished, as Dallas music lovers already know, since he recently sang the role with the Dallas Opera. Mr. Forbis has the further distinction of being an Associate Professor and Chairman of Voice at the Meadows School of Music at SMU in Dallas. Soprano Heidi Melton is also a world-renowned Wagnerian and has often sung at the Met. 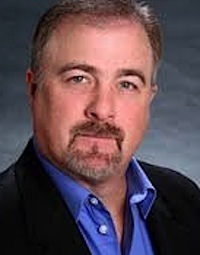 Bass Eric Owens has sung Alberich in Wagner's Ring at the Met, and is a veteran of major roles in works by John Adams. All three artists contributed significantly to the success of this performance of Die Walküre. Mr. Forbis shook the rafters with his cries of “Wälse! Wälse” and delivered his lyrical passages with palpable warmth and exquisite beauty. Ms. Melton matched Mr. Forbis’ ardor, and beauty of sound. Mr. Owens was appropriately menacing as Hunding. These three fine artists combined with conductor Jaap van Zweden to make this a gripping drama from beginning to end. The lack of sets and costumes was no problem at all for such charismatic performers, or for the audience. The acting was superb! Totally mesmerizing! Kudos also to the fabulous Meyerson Symphony Center acoustics for authentically registering the rich colors and dynamics of Wagner's music. Jaap van Zweden’s understanding of string instruments is rapidly becoming known to leading orchestras around the world as they encounter this exceptional conductor for the first time. Perhaps it is not surprising, considering that he started playing the violin at the age of 7, studied in New York with the fabled Dorothy Delay – she also taught Itzhak Perlman, Gil Shaham, Sarah Chang, and Nadja Solerno-Sonnenberg among others – became concertmaster of the Royal Concertgebouw Orchestra at 19 and concertized extensively as a solo violinist. In this Wagner concert, one marveled at the richness of the string tone, the variety of bowing techniques, and the range of attack; that is to say, not every loud chord was played with a whiplash attack. Often the attack was “spread” in the manner of many European orchestras, thus giving a more expressive sound to individual chords where appropriate. Concertmaster on this occasion (chief concertmaster Alexander Kerr was unavailable) was Nathan Olson. Olson led the section very well indeed. There were also fine solo contributions from cellist Christopher Adkins, oboist Erin Hannigan, clarinetist Gregory Raden, guest principal horn Philip Munds of the Baltimore Symphony, the afore-mentioned guest principal trumpet Christopher Martin, and bass trumpeter Derek Hawkes. The enlarged horn section had a fine afternoon, with the Wagner tuba contingent led by David Heyde being consistently in tune, rhythmically incisive and frighteningly loud when necessary. Three of the Wagner live performances led by Jaap van Zweden mentioned earlier in this blog are available as commercial recordings. Lohengrin (QuattroLive) is available either on CD or DVD, Die Meistersinger (QuattroLive) is available as a CD set, and so too is Parsifal (Challenge Classics CC72519). They are wonderful performances. The week before the Dallas Wagner concert reviewed in this blog Jaap van Zweden was conducting the Berlin Philharmonic at concerts in Berlin and Amsterdam. Van Zweden was invited to fill in at the last moment for an ailing Mariss Jansons. One of the Berlin performances was videotaped in HD for the BPO’s Digital Concert Hall. It is available for viewing for a fee of US$12. If you are interested, go to www.digital concerthall.com. Van Zweden conducts the BPO in Bartok’s Concerto for Orchestra and Brahms Symphony No. 1. Both performances are excellent.